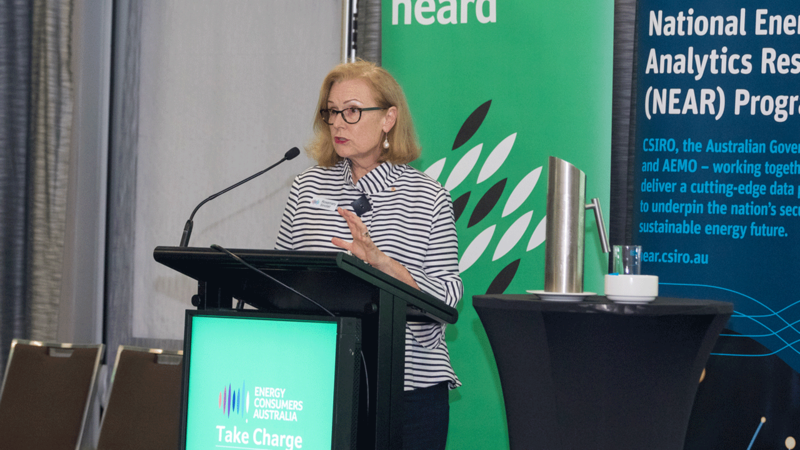 This speech was delivered by Rosemary Sinclair AM at The Energy Charter Launch on 31 January 2019. Thank you John for the kind introduction and for your leadership of The Energy Charter CEO Council and the very significant personal commitment you have made to what may seem to others to be an idea in keeping with the Festival of Dangerous Ideas, an unprecedented, whole-of-sector, framework to reimagine energy service delivery in Australia– one of the important issues of our time, needing a new approach. I also want to acknowledge up front, the CEOs and board members of energy companies in the room this afternoon who have committed to a framework which they know will challenge their organisations to think and act in new and different ways. With spirit and intent at its core, the Charter Principles will lead these companies to ask themselves – Should We? rather than Can We? It is no small thing to voluntarily hold yourself up to a new level of public accountability – not just for your performance against laws or regulations that necessarily provide a floor for conduct – but against a set of ambitious, outcomes-based principles. You are taking a risk, but it is a risk worth taking. I must also acknowledge Nevenka Codevelle, Sabiene Heindl and Emma Watts who have worked tirelessly and with great integrity to get us to this point. Importantly, we would not be launching an Energy Charter of the rigor and potential of the one that is before you without the input and guidance of the consumer organisations on the End User Consultative Group. We will hear from Andrew Richards – who was a member of the End User Consultative Group – on the panel session later this afternoon. What I expect to hear from Andrew, and others representing consumers who are struggling with high prices and are not confident the sector is working for them, is that they are also taking a chance on The Energy Charter because they sense we’re at an inflexion point in the life of the sector. they see no other path to resolving these transition issues than open and honest dialogue about the very real challenges both consumers and businesses are facing with affordability, reliability and sustainability for a service that you cannot choose to go without. In a sector where the outcome depends on each part of the supply chain playing its part, and sharing an overall vision for much better consumer outcomes. My personal view about this has only been strengthened, having spent my Christmas break reading Michael Lewis’ latest book The Fifth Risk, which is a case study on the US on why, when you’re faced with threats to the whole economy, to the health and well-being of the community, that institutions and collaboration matter. Thirty years after we started the process of privatising and ‘unbundling’ the energy sector as part of the microeconomic reform agenda, and at a time when people are uncertain about competition and markets, The Energy Charter is a contemporary way of ‘putting the sector back together’ to create space for the sector to reconnect with its consumers. To win their trust and confidence through real decisions and actions not words and clear the way for businesses to make the long-term investments, to try new technology, to devise new business models, and ultimately help consumers navigate what has so far proven to be a difficult and disorienting transition. Several people have asked me ‘how long will it take?’ and my answer is at least five years. We must be clear-eyed that today is just the start of a journey for The Energy Charter. The community rightly has high expectations and the credibility and legitimacy of this project depends on demonstrated results in terms of affordability and service outcomes, and on rock-solid governance and transparency. The Independent Accountability Panel which will assess and publicly report on company and sector performance is therefore a critical part of the architecture of The Energy Charter. 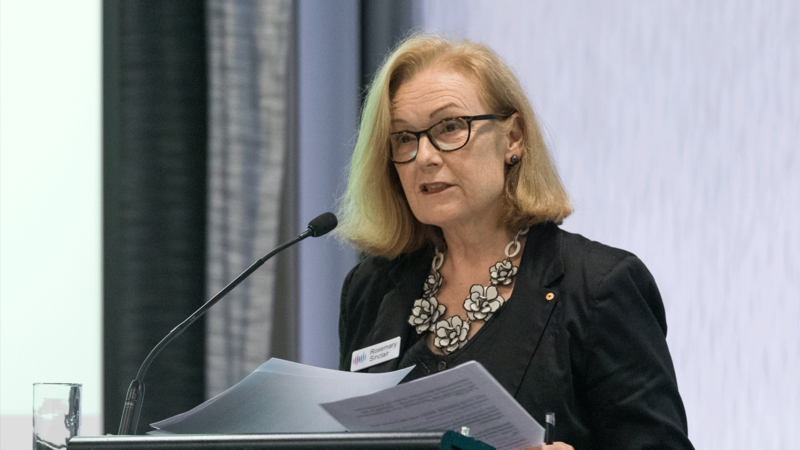 I am very pleased to announce formally that Dr Wendy Craik AM, has been appointed to act as the independent chair of the Accountability Panel. Wendy is a member of the Reserve Bank Board and holds a range of significant appointments in matters of great public interest. Wendy brings enormous integrity and a wealth of experience in public policy and governance to this role. We are very appreciative of her own commitment to The Energy Charter in this important role. Wendy will lead an Accountability Panel with business, customer and expert nominees, which will not just assess and report on disclosures but will play a key role in designing and building the detailed governance processes and protocols that are so important for assuring the community that businesses are not just talking the talk, they are walking the walk. Businesses will submit their first disclosure reports by the end of September. Which the Accountability Panel will evaluate ahead of publishing its first Evaluation Report towards the end of the year. This will be a public document on sector progress towards Charter commitments. Businesses will also be undertaking ‘maturity model assessments’. I expect this first cycle to provide extraordinary new insights into this sector that will inform the first set of business measures and metrics that are forged through The Energy Charter process. We also look forward to continuing to work with consumer organisations who will play an incredibly important ongoing role in testing, informing and challenging at every step of this process through the End User Consultative Group. Today, we are at the beginning of the Charter Principles in practice and I was heartened by the conviction I heard from CEOs in the video that you will see shortly. That it’s about empowering customers and enriching customers’ experiences … simpler, easier and more affordable. That’s it about genuine disclosures and holding the sector to account if it departs from guiding values and principles. That it is not about what we say, but what we do. Thank you for the opportunity to contribute to this important initiative and to speak to you this afternoon. I look forward to continuing to work with you to realise the promise of The Energy Charter.